Reliable Castro Valley sewer repair is one of our many specialties. Sewer issues aren’t exactly anyone’s idea of a good time. 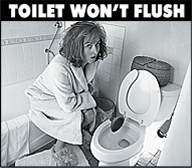 Evenflow Plumbing can help with your sewer troubles in Castro Valley. 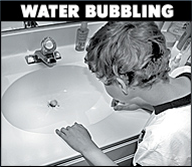 We’re a celebrated local plumbing business that specializes in a vast array of services. If you’re searching for sewer repair in Castro Valley, we can impress you. If you’re looking for Castro Valley sewer replacement, we can dazzle you, too. Our experienced plumbers can even provide you with impeccable Castro Valley sewer cleaning work. People who need professional sewer service can always reach out to us. If you need a Castro Valley sewer inspection, call our business as soon as possible. Our licensed plumbing pros can help you manage any kind of sewer need. 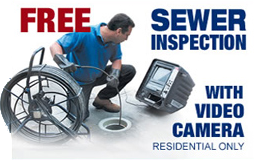 When you need a sewer inspection in Castro Valley, our seasoned technicians are available. Call us at Evenflow Plumbing if you ever develop any sewer worries. You’ll need a sewer inspection in Castro Valley as soon as you pick up on anything out of the ordinary. 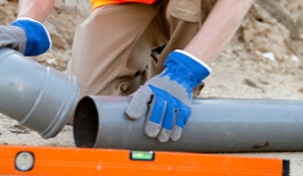 If you need any kind of sewer repair in Castro Valley, there may be many obvious signs. Sewer line issues lead to simultaneous drain backups, damp sections on lawns and messy basement floods. Contact our leading plumbing business without hesitation if you’re looking for attentive sewer service. Our Castro Valley sewer replacement work is exceptional. We do everything we can to provide our customers with caring and courteous service. Whether you call us for Castro Valley sewer cleaning, sewer replacement or anything else, we’re here to help. Our staff members are a devoted and pleasant crew. If you desire friendly service, inexpensive rates and a speedy response time, then you will love our plumbing company. 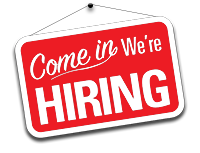 Count on us if you need a Castro Valley sewer inspection that’s meticulous and reliable. Our skilled and committed plumbers are capable of helping customers with all varieties of sewer services. We take pride in our strong focus on world-class customer care. So don’t hesitate. Contact our team of Castro Valley sewer repair professionals today. Check testimonial letters from our customers! 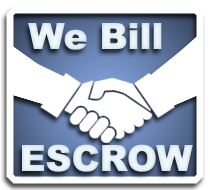 If you have escrow on your home or property, then we can bill your plumbing services to that escrow account. 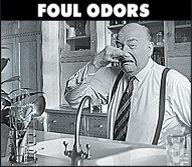 Copyright © 2008 EvenFlow Plumbing Co.• All rights reserved. This website contains links to other websites. The inclusion of such links does not constitute referrals or endorsement of any of the linked entities.